In 1993, Mountain Sun Pub and Brewery opened its doors on Pearl Street in downtown Boulder. The vision behind this new establishment was to provide excellent food and freshly brewed beer in an environment centered around community, comfort and conversation. Apparently, that idea appealed not only to Mountain Sun’s founders but to the community as a whole. It developed a strong customer base and, in 2002, opened a second location in Boulder, Southern Sun. Over the next several years the company expanded to Denver (Vine Street Pub & Brewery, 2008), south Boulder (Under the Sun, 2013) and Longmont (Longs Peak Pub, 2014), with a current total of five locations. All of the pubs have the same basic atmosphere: similar decor, no televisions, cash or checks only (no plastic accepted), and each outfitted with a few community tables to encourage interaction among guests. Additionally, all the employees work as part of a team system, as we chronicled previously. They pitch in where needed and customers can ask anyone for help from any staff member, whether he or she is their primary server or not. 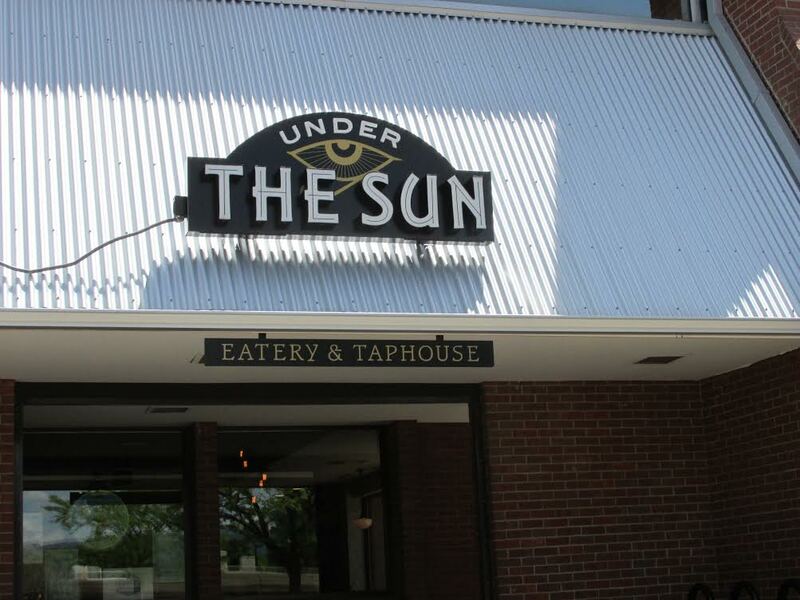 While the Mountain Sun family of pubs share the same philosophy and ambiance, one of them has some little differences that make it particularly unique: Under the Sun. Having been a regular customer at three of the locations for the past 16 years, I recently paid a visit to Under the Sun to try something new. The cuisine at the other four restaurants consists largely of burgers and sandwiches, with a handful of house specialties like burritos and quesadillas. 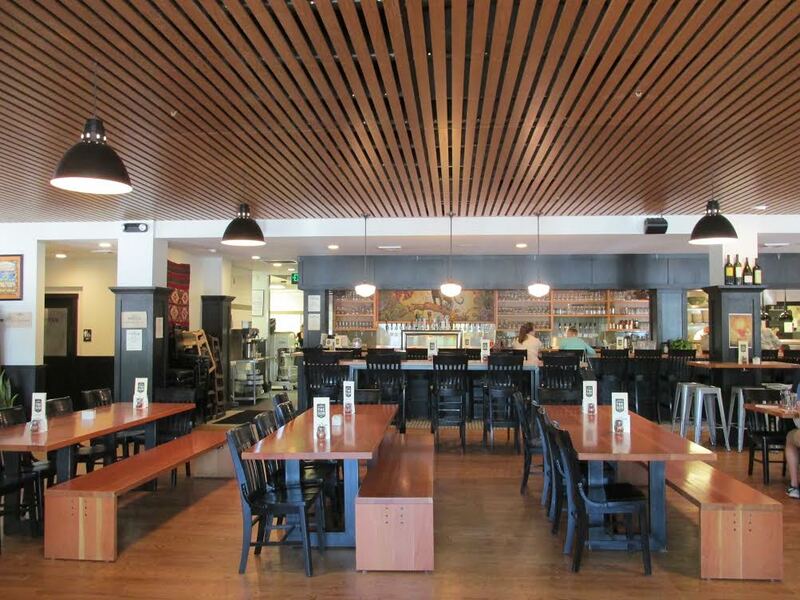 However, Under the Sun focuses heavily on its wood-burning oven, which is exclusive to this restaurant. The menu boasts a variety of pizzas, smoked meats, roasted vegetables and even a wood-oven fired cookie for dessert. It also has an extensive breakfast menu every Saturday and Sunday starting at 9 a.m., offering breakfast pizzas, sliders, benedicts, French toast and much more. I am a big fan of brunch, so I was very pleased to see that. 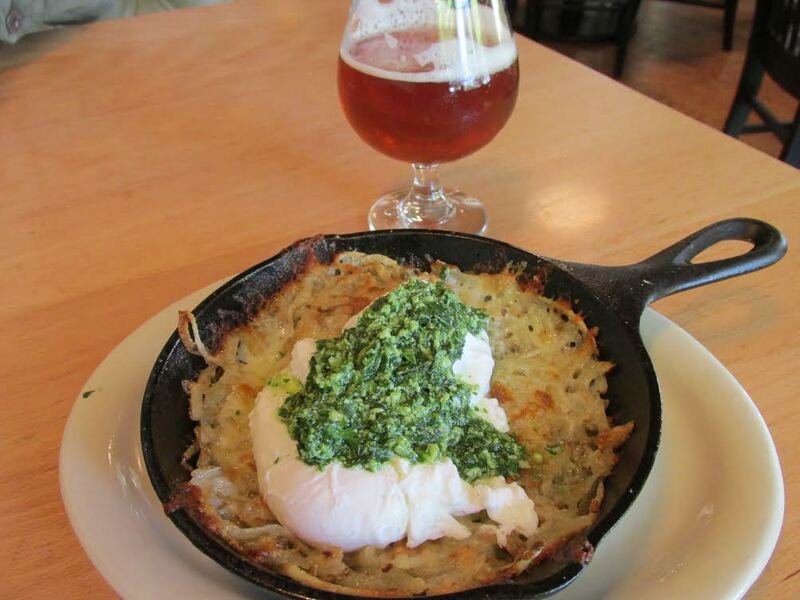 Birdie in a Skillet: Two medium poached eggs, breakfast potatoes, tomatoes, basil pesto, mozzarella and parmesan. Like its sister pubs, it has a wide range of Mountain Sun beers on tap–21 to be exact, including 2 nitrogen taps. 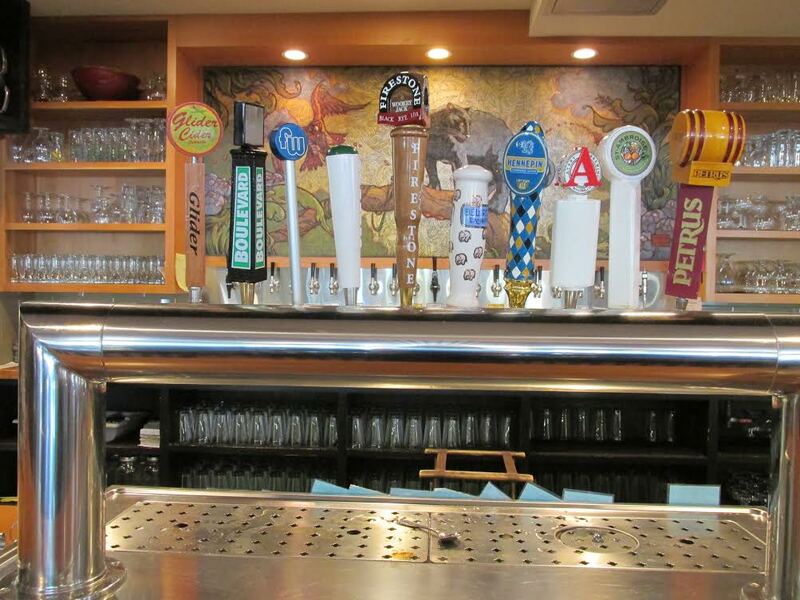 But it also carries an impressive selection of rotating guest beers. There is a nice mix of local breweries such as Avery and Funkwerks, other popular US breweries like Firestone Walker, Boulevard and Ommegang as well as international favorites such as Petrus and Delirium Tremens. For those craving something other than beer, Under the Sun has margaritas, sangria, an innovative cocktail list and seven wines on tap. I implore those who are already familiar with Mountain Sun to check out Under the Sun. You still get that same living room feel, yet here you can opt for a pizza with your beer. And for those who don’t know what the Mountain Sun pubs are all about, prepare to discover a new favorite.